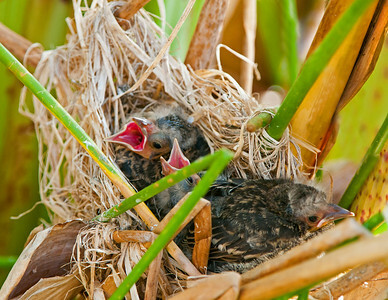 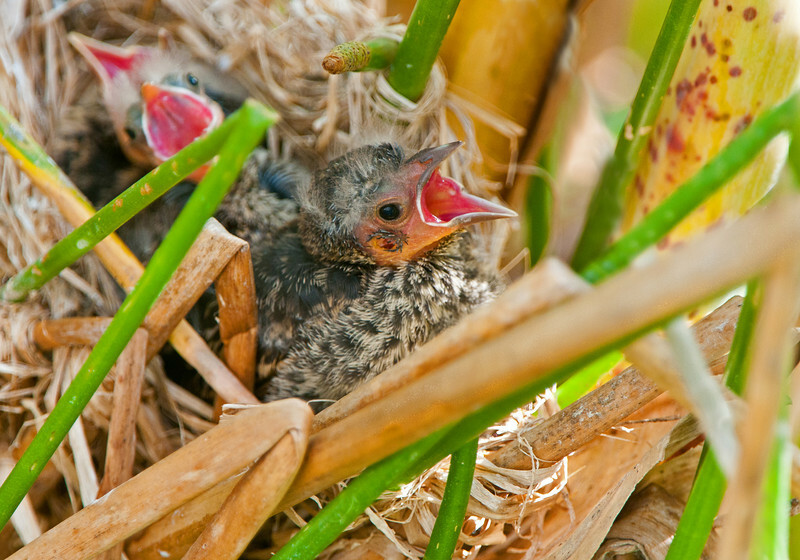 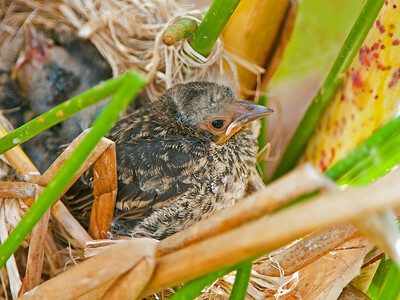 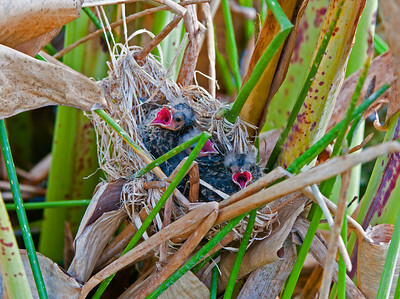 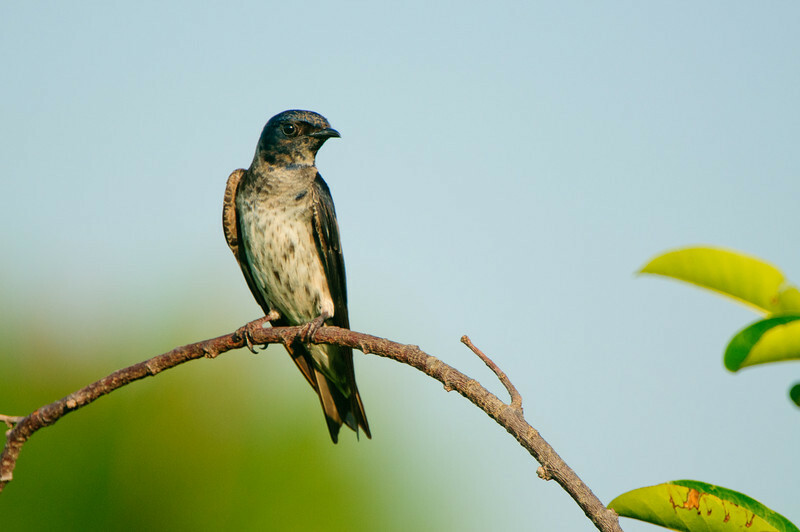 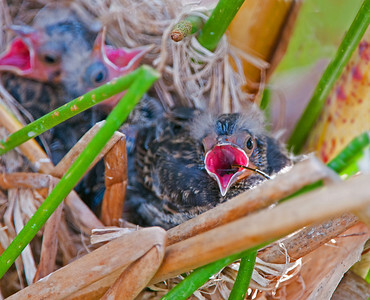 A female Redwing Blackbird stands watch over her nest with three newborns. 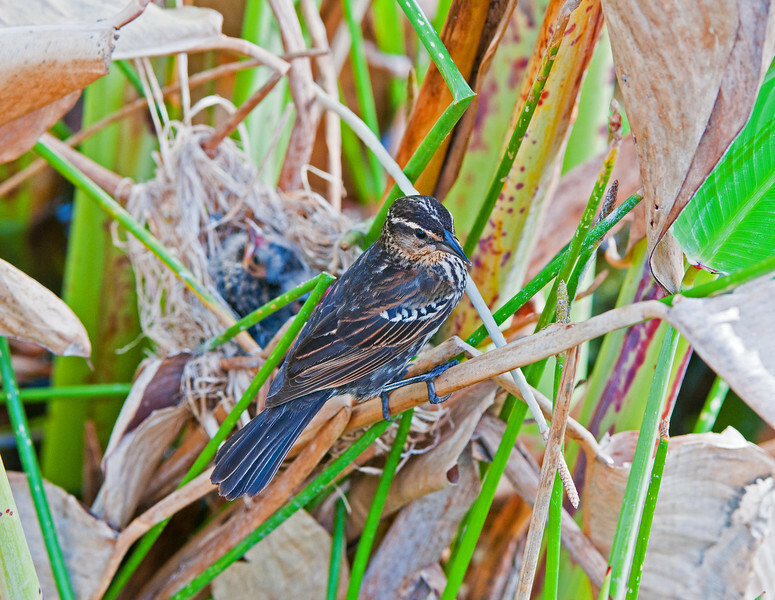 Redwing Blackbird female watches over her nest. 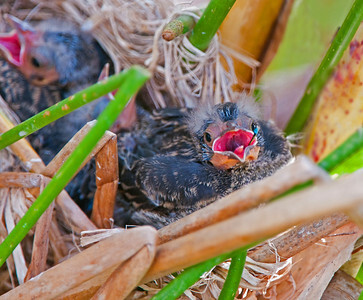 Redwing baby cries for its dinner. Redwing Blackbird baby eating a bottlefly. 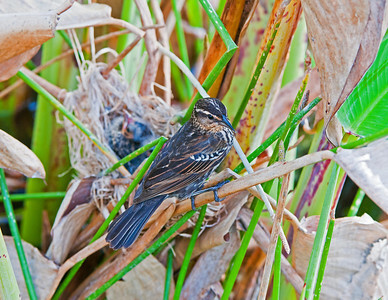 Redwing Blackbird baby finishes off a bottlefly. 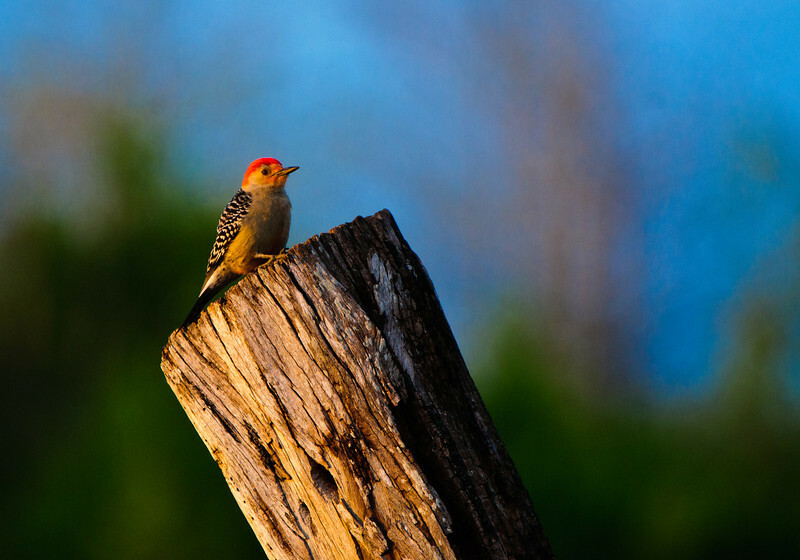 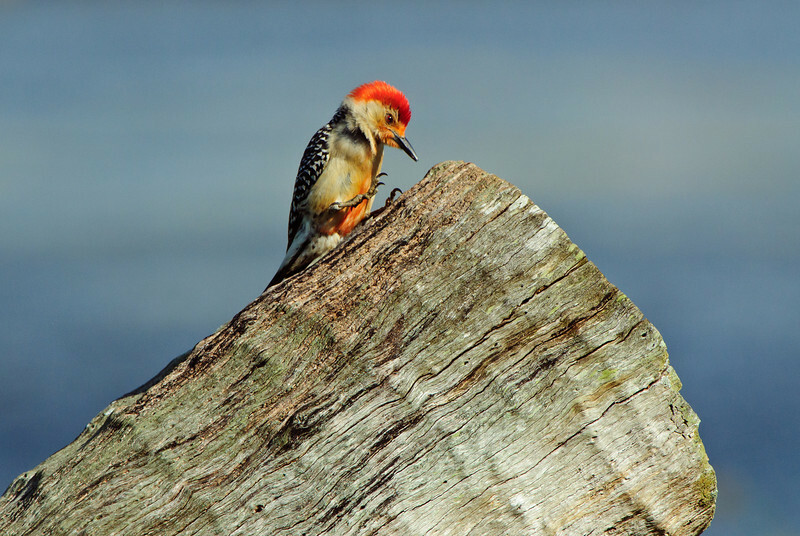 A red bellied woodpecker glows in the light of the setting sun at Green Cay. 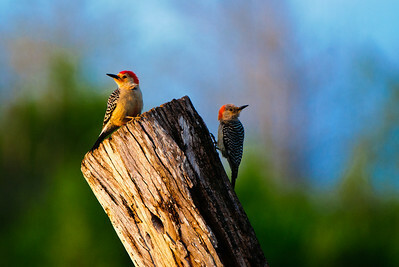 A pair of red bellied woodpeckers glow in the light of the setting sun at Green Cay. 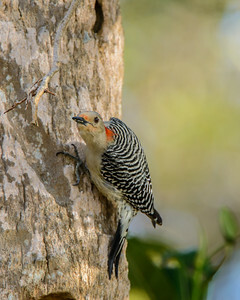 Red Bellied Woodpecker searching for a possible nesting site. 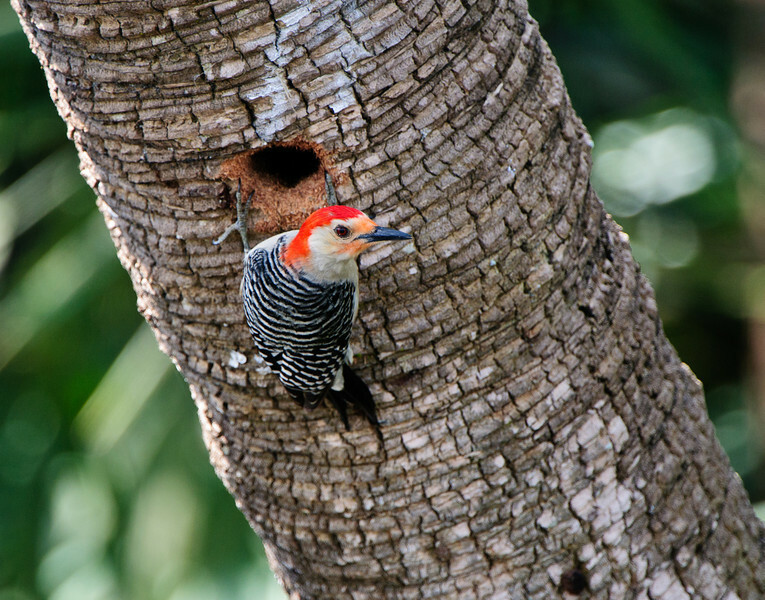 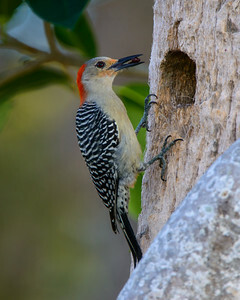 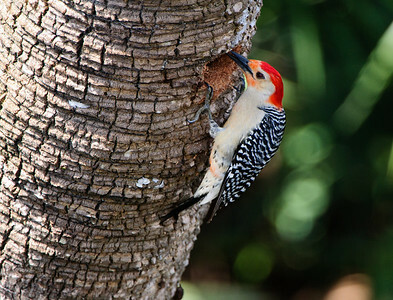 Red Bellied Woodpecker works on enlarging a nest hole. 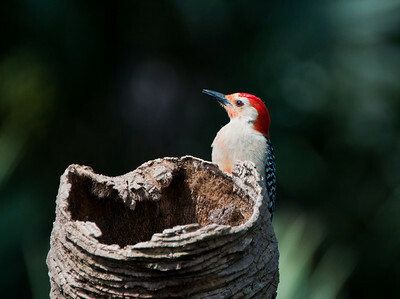 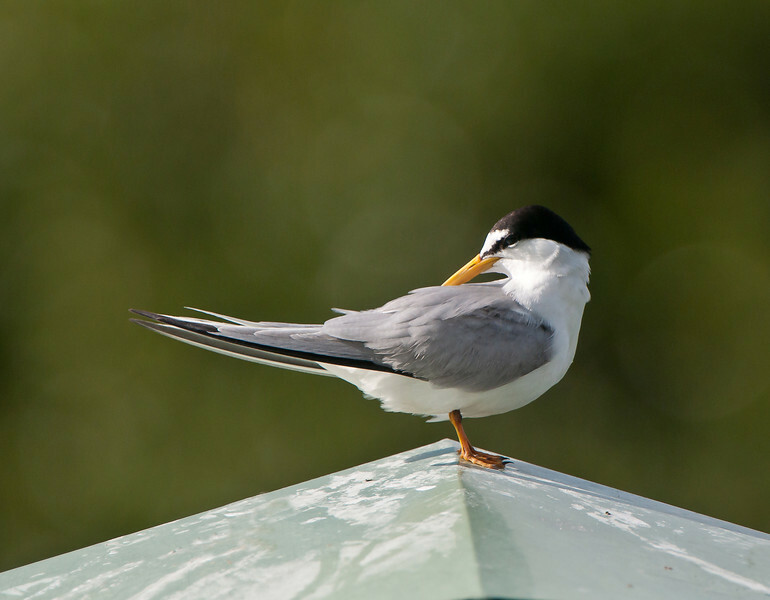 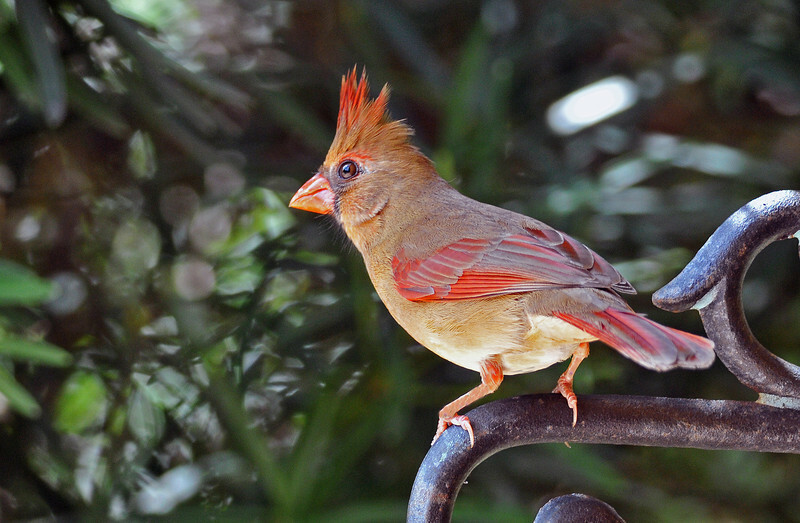 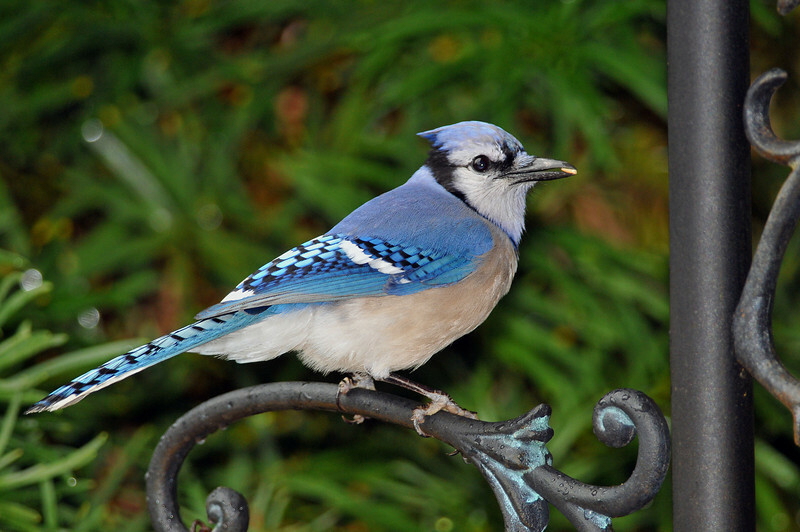 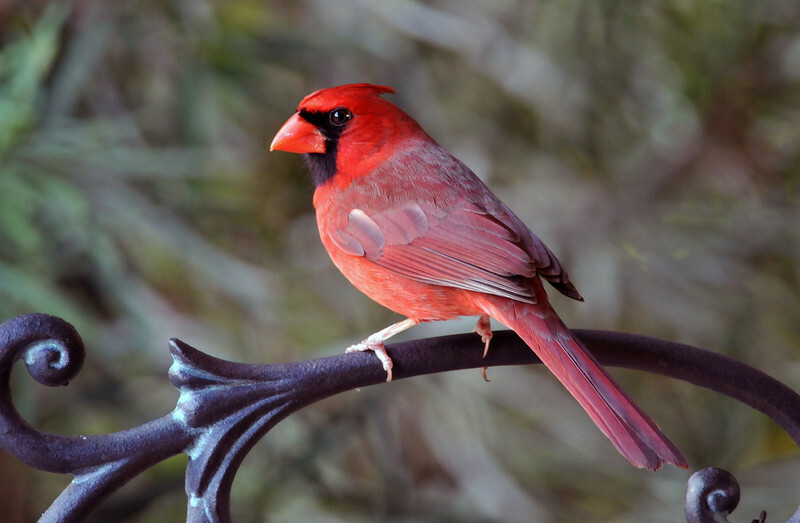 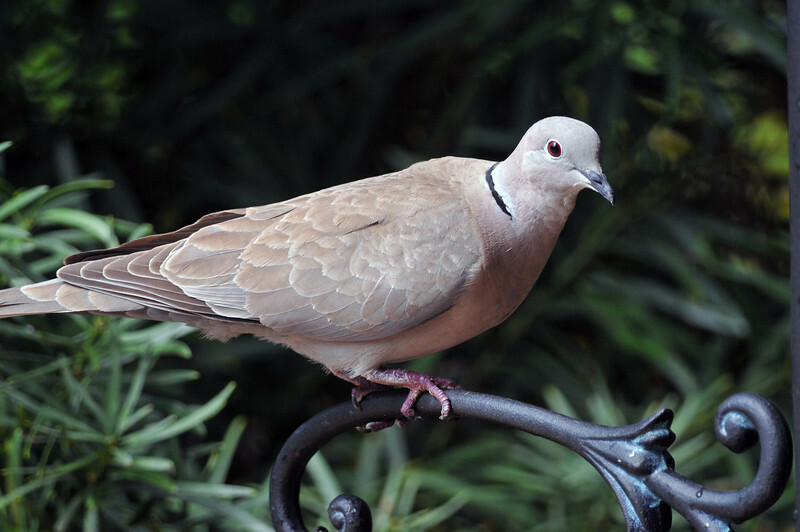 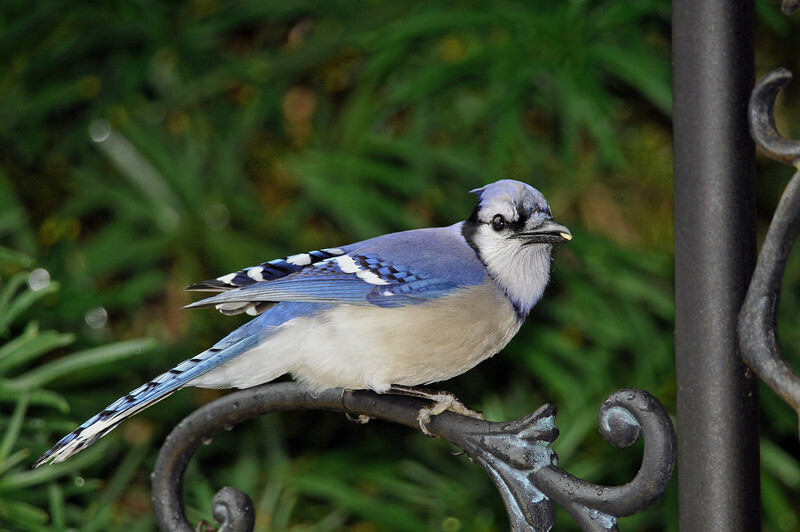 Clearing the nest cavity of debris. 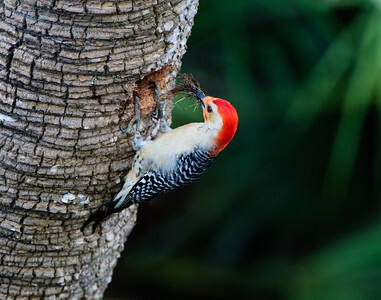 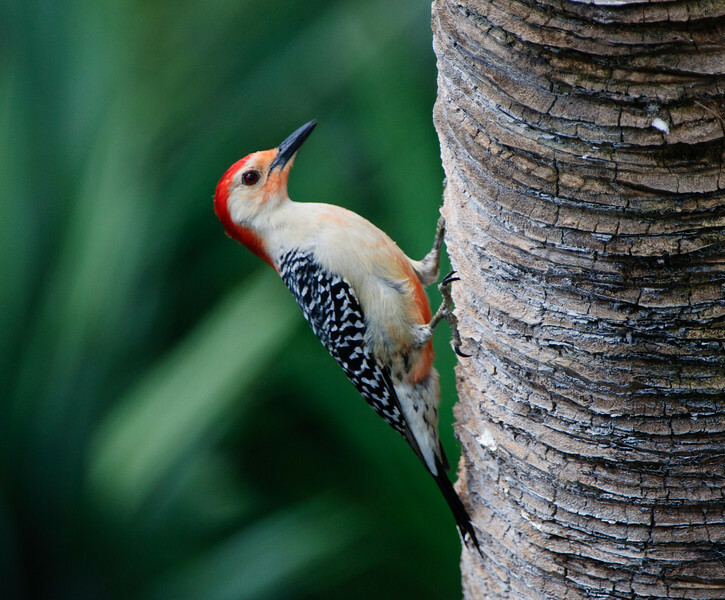 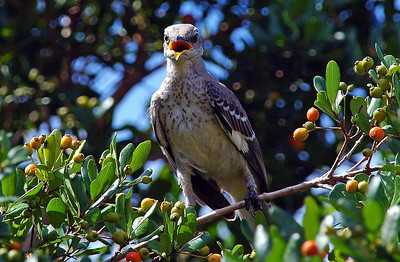 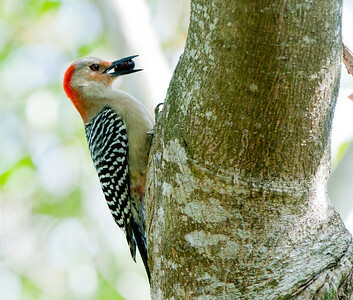 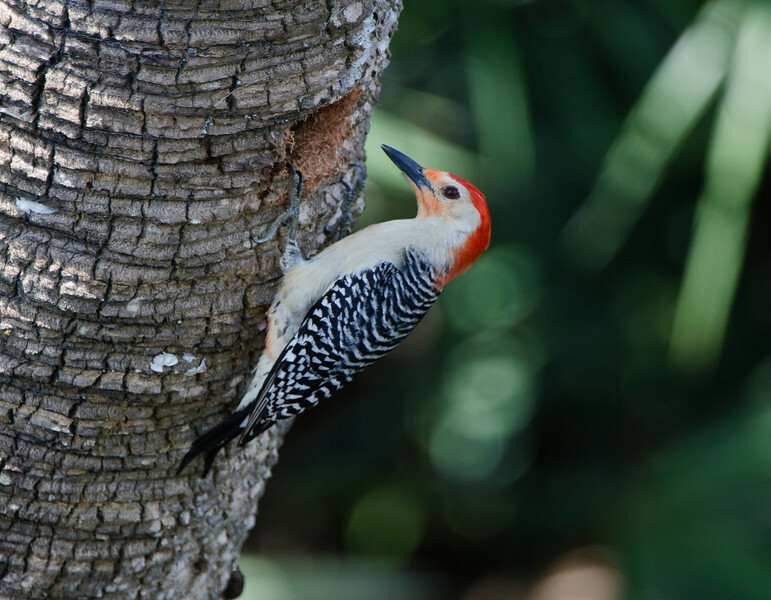 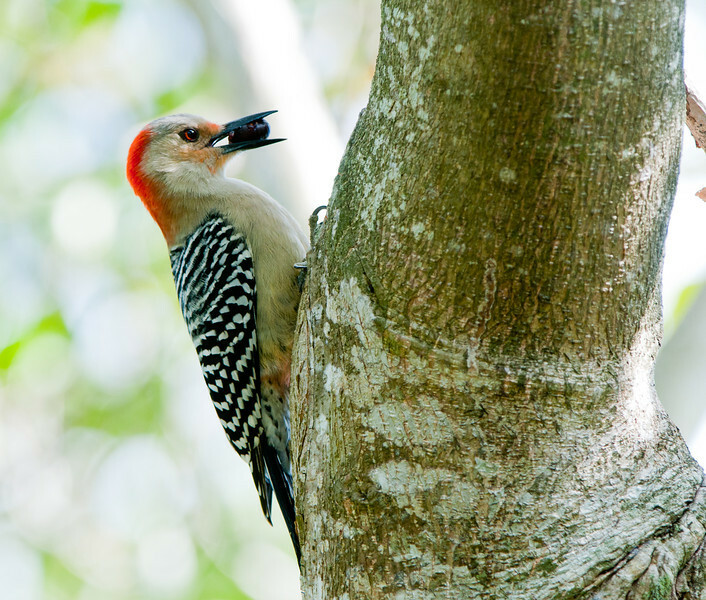 Red Bellied Woodpecker clings to a live oak while holding his lunch. 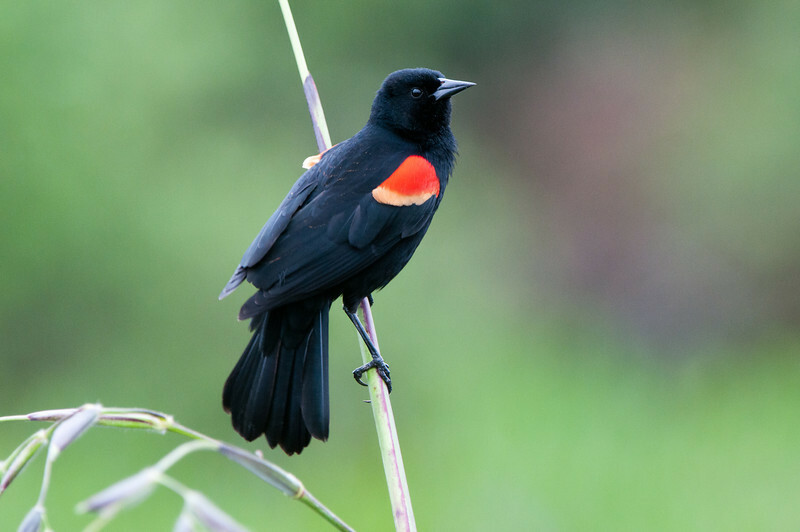 A male Redwing Blackbird prepares to call his mate. 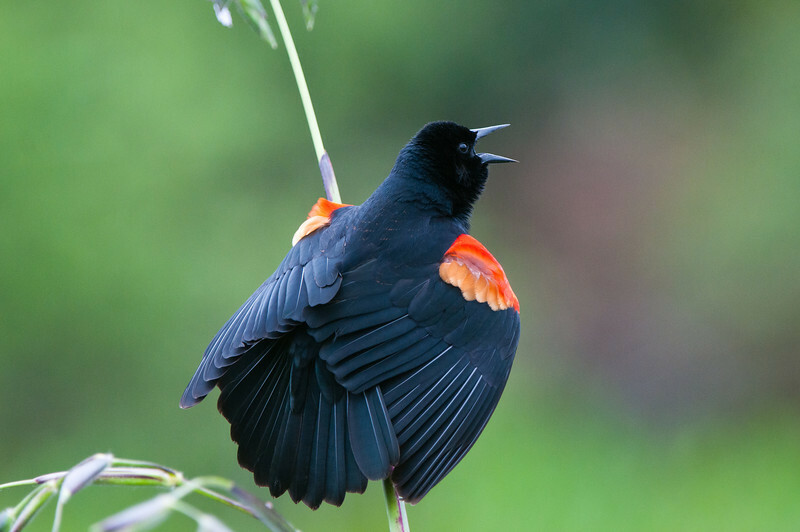 Redwing Blackbird calling for his mate while displaying his breeding colors. 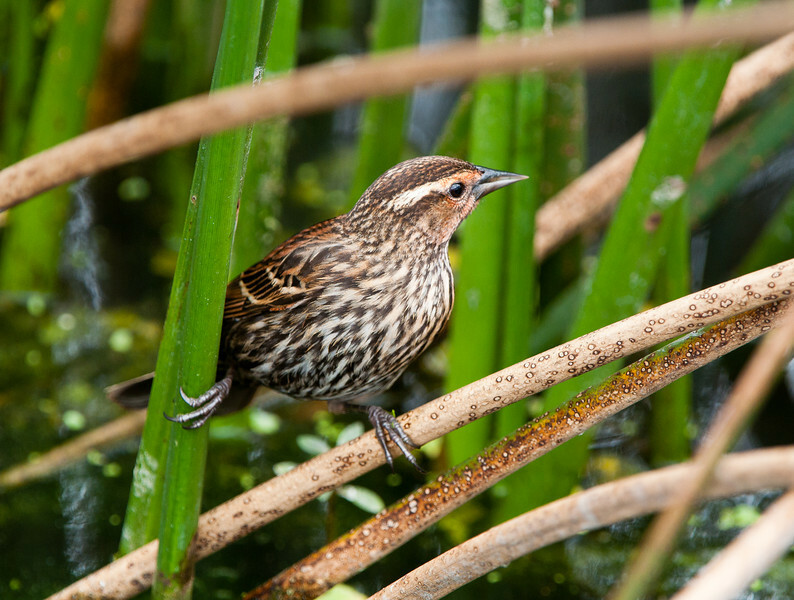 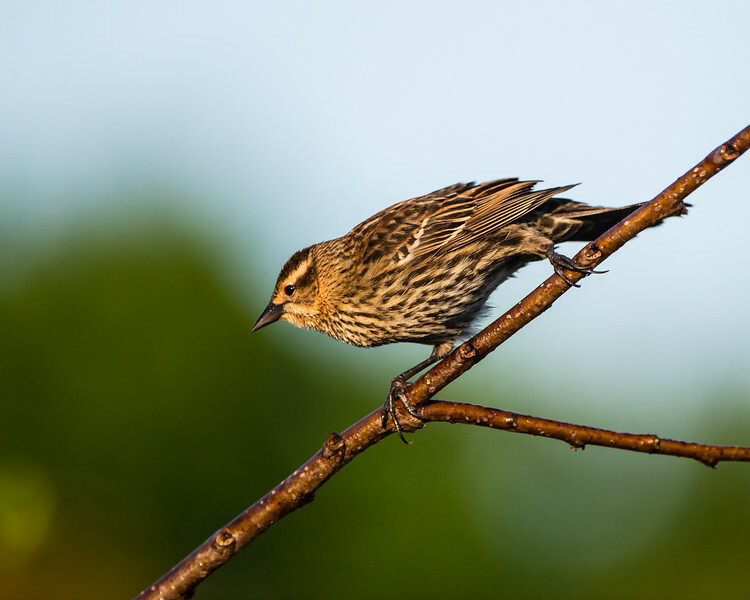 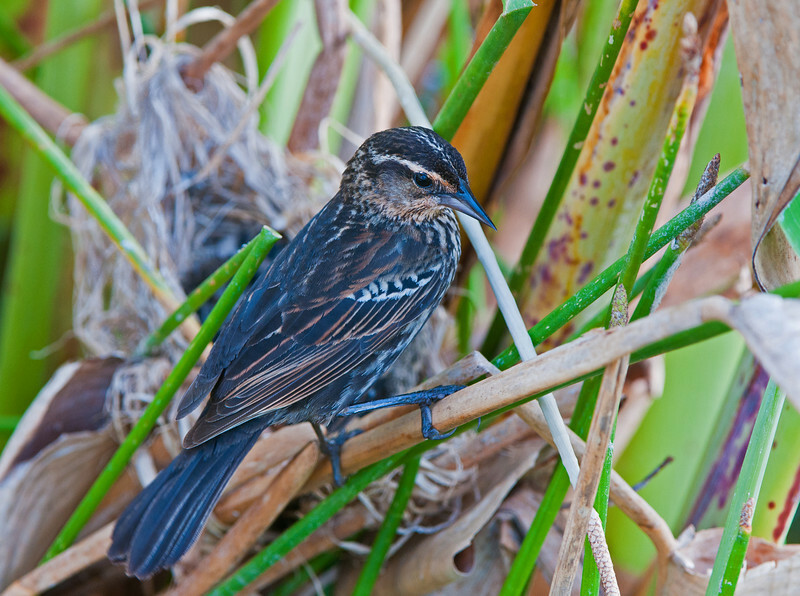 Female Redwing Blackbird hiding in the sawgrass. 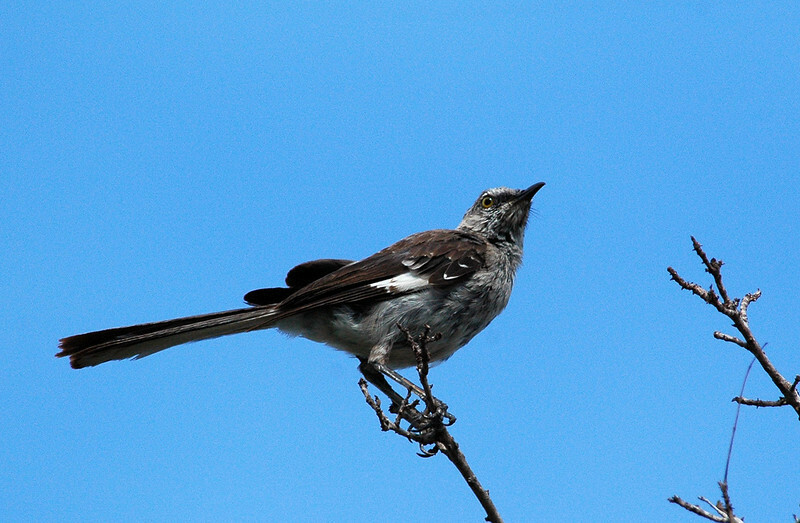 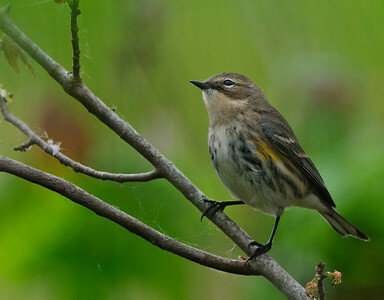 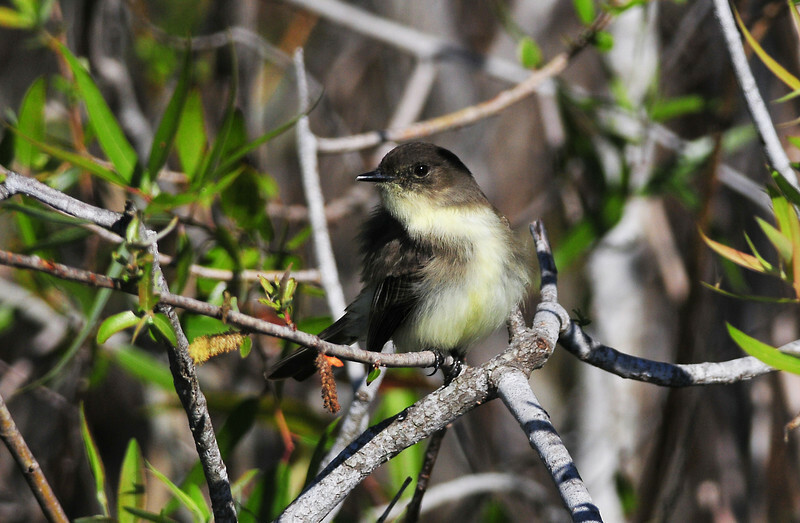 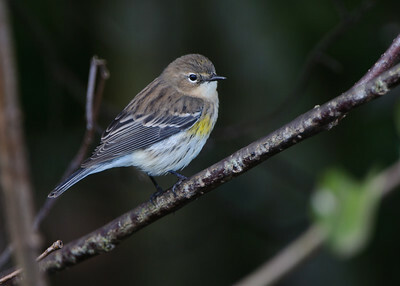 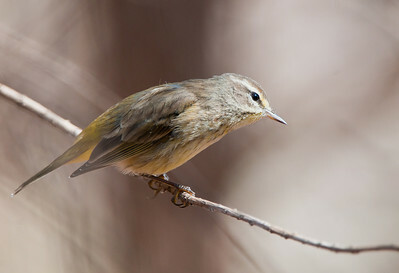 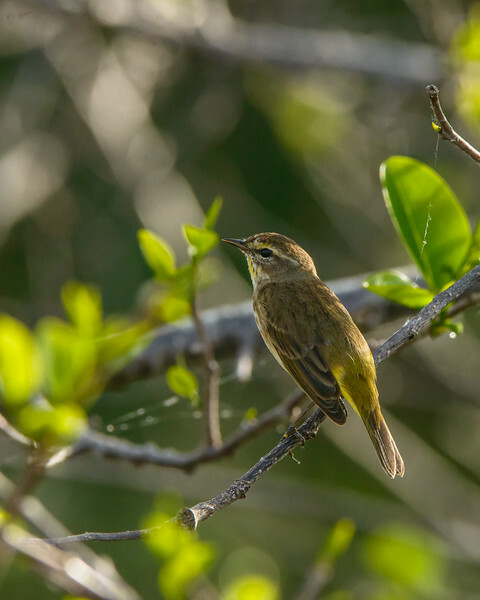 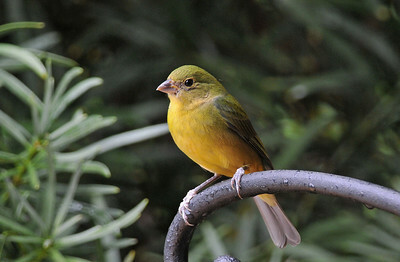 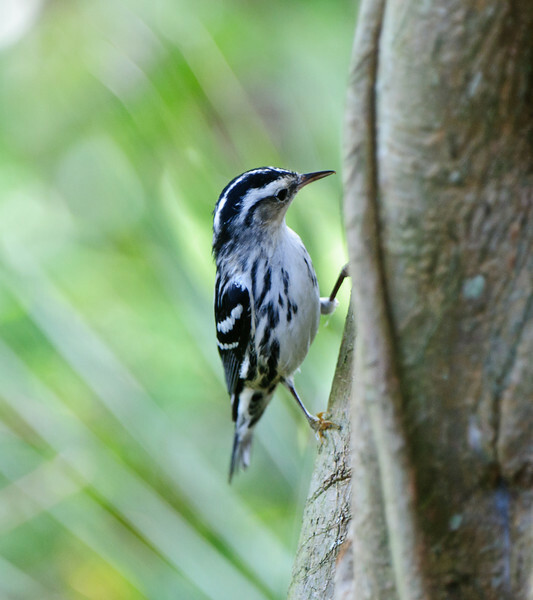 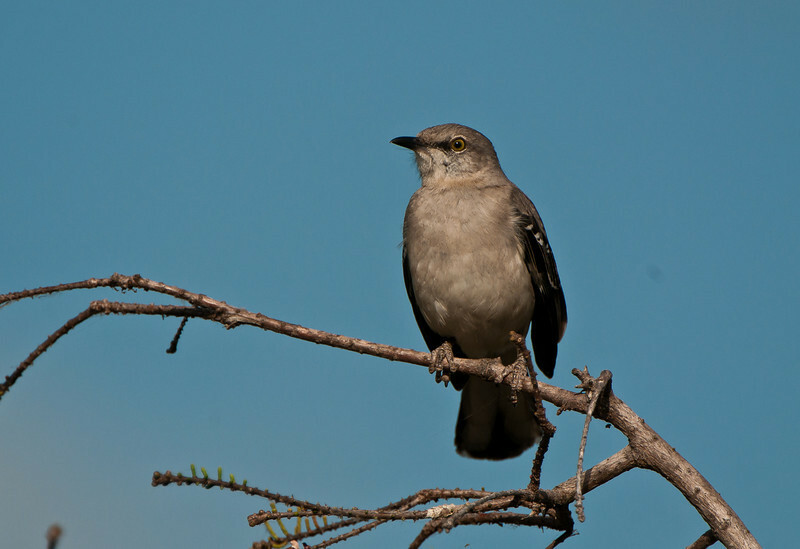 The Palm Warbler is most often found in the souther pine forests. 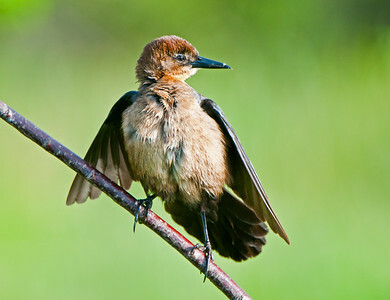 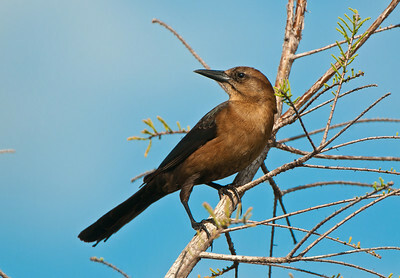 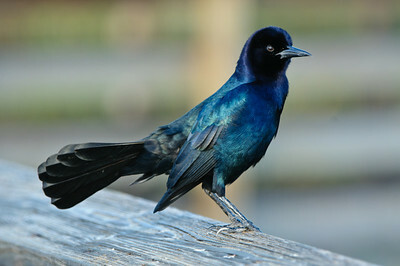 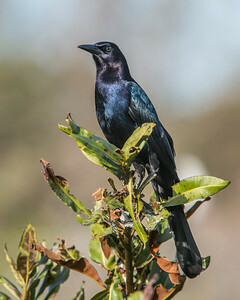 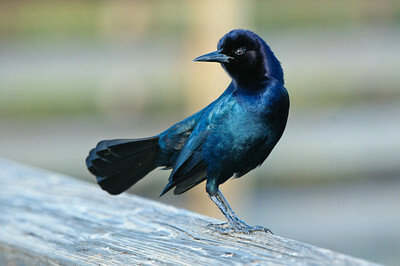 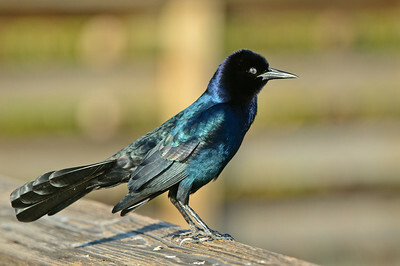 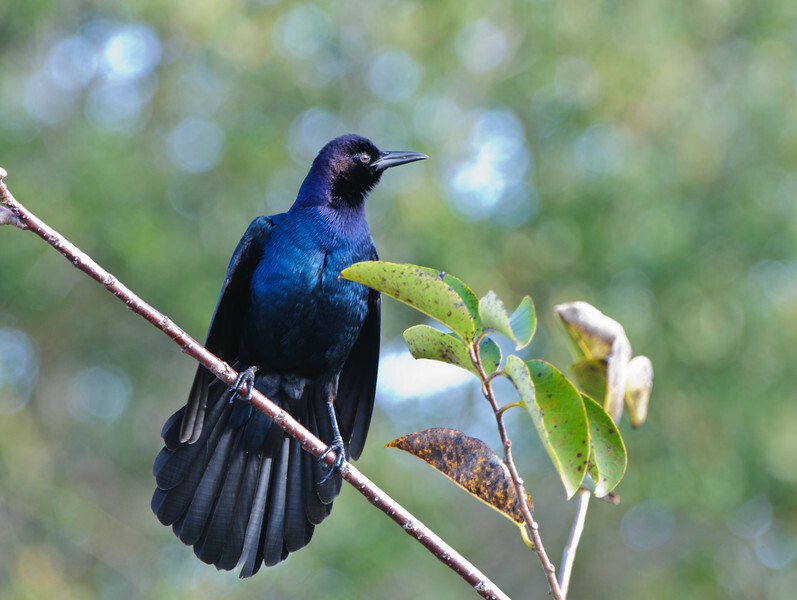 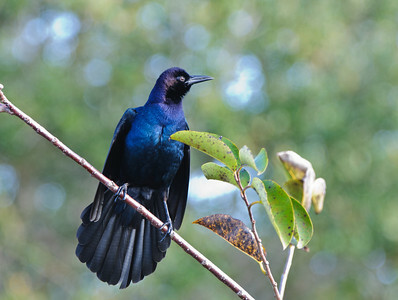 A grackle showing off his colors. 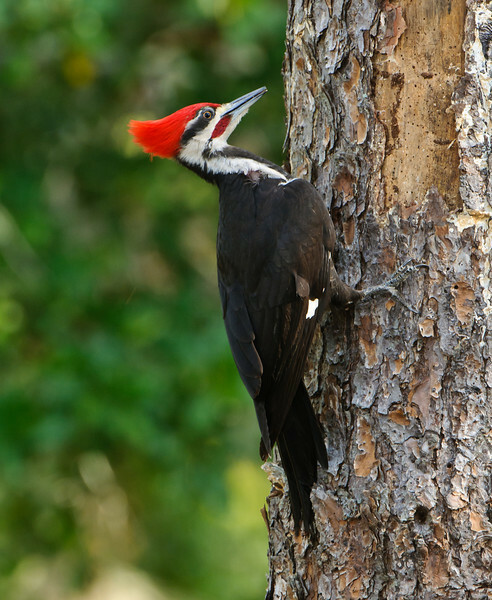 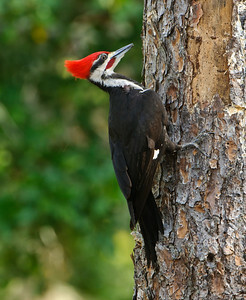 The Pileated Woodpecker the largest North American Woodpecker, is know for being shy and hard to photograph.